These hydrating under-eye patches are loaded with collagen and gold to reduce the appearance of fine lines and wrinkles. Featuring rose extract and niacinamide, they help brighten and reduce dark circles while de-puffing the eye area for a, youthful look. This light and deliciously scented mist provides a fast, fresh and gentle body exfoliation without the need to rinse off. Clinical results include 40 percent increased hydration after one hour, and skin is 4x better exfoliated upon application. This shimmery pink whipped body cream smells just like birthday cake and rejuvenates dry skin with shea butter, safflower oil, aloe vera and vitamin E. Skin feels and smells amazing while looking more radiant from head-to-toe. The ultimate co-branded beauty collaboration between two of our favorite brands, this gold and silver glitter spray provides multi-dimensional sparkle and light, flexible hold. Great for all hair types, the paraben-free formula features a blanc scent with notes of coconut, vanilla and amber. Formerly Colorlicious, this reformulated lipstick is back and it’s bigger and better! Available in 48 shades (pictured in Coffee Crave), this rich lipstick is infused with shea butter for lasting color and comes in three different finishes: Cream, Demi-Matte and Metallic. Available at Target and Walmart. 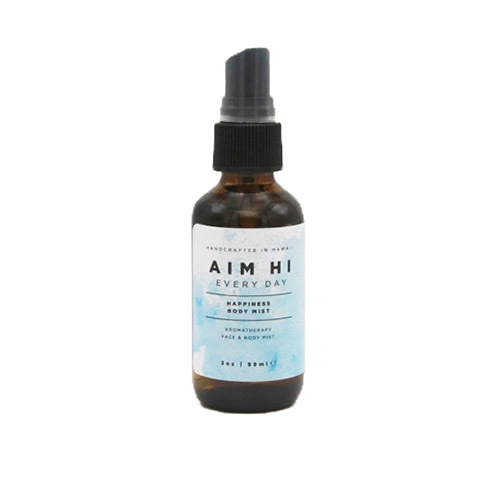 When you need a little lightness or brightness, spritz this light aromatherapy mist where needed. It features a calming, stress-reducing and mood-lifting essential oil blend of bergamot, ylang ylang and grapefruit, in addition to rose quartz crystal, which enhances helps awaken heart-centered consciousness. This luxurious gel-cream serum glides on skin and blends in effortlessly, progressively smoothing lines and wrinkles for an ageless appearance. Works from the inside out, rebuilding the skin’s matrix to lift and firm. Formulated with a prebiotic from algae and a probiotic to target concerns that may result from unbalanced surface skin bacteria, this color-morphing face mask rebalances, detoxifies and hydrates the dermis. It also leaves skin more resistant to pollution and aging. For ultra-silky lips, this trio includes a Brown Sugar Lip Scrub, The Lip Slip and the Sweet Clay Mask. Give your pout the ultimate treatment and prevent dry, flaky lips with this set that was designed to exfoliate, restore and hydrate lips. This highly concentrated cleanser is formulated to renew dry and dull skin while providing extra care for sensitive skin. Made with pure truffle extract and sweet almond oil, along with essential fatty acids, this gentle cleanser delivers intense hydration while improving resilience and tone. Comfortable, medical-grade patch smoothes and decreases appearance of brow and forehead wrinkles while you sleep. It targets critical wrinkle-prone zones to repair and prevent lines and furrows while kickstarting skin’s natural collagen for visible results in one night with ongoing improvement over time.